Indo Board is proud to partner with Jon Ham of Fitness on the Run to launch our Continuing Education Workshops on the West Coast. Jon has many years of experience using the Indo Board as a tool with his high profile clients in the Los Angeles area. Jon is a NASM Certified Personal Trainer with a bachelor’s degree in Food Science and Human Nutrition from University of Illinois. Jon also competed on the Varsity Gymnastics Team and was a member of the team that finished 3rd in the NCAA Championships in 1998 and a Big Ten Championships bronze medal winner on the High Bar in 2001. 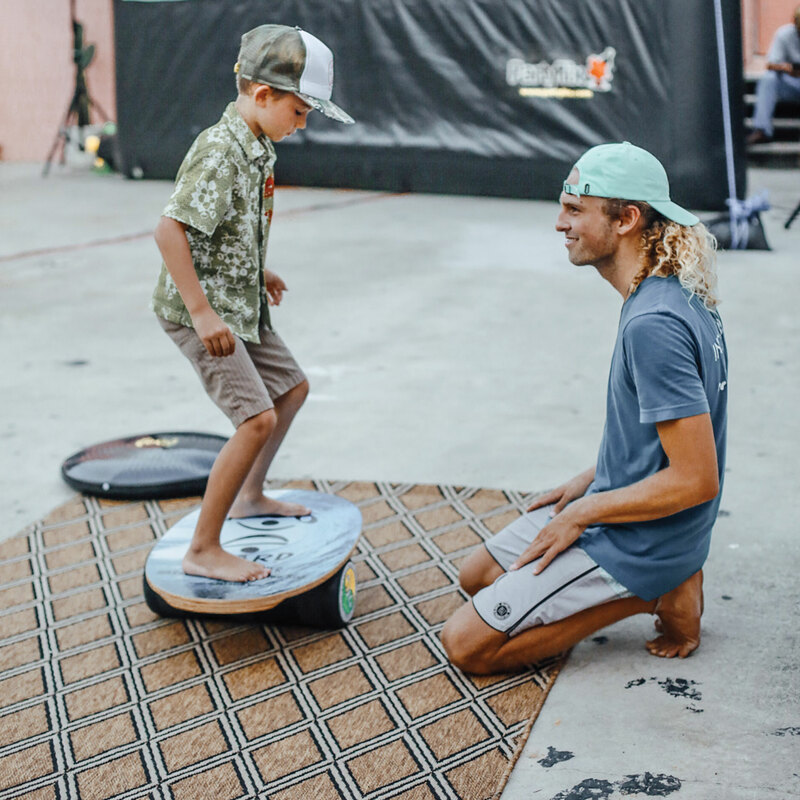 Jon recognizes that the Indo Board brings a fun, totally unique and highly effective way of training balance, proprioception, core strength and kinetic chain stability and uses the Indo Board with every client that he trains. Introduce the basic principles, applications and benefits of functional balance training. Explain the concept of using functional balance training to improve neuromuscular response, proprioception, postural awareness and kinetic chain function for all clients from youth through seniors and non-athletes through competitive athletes. 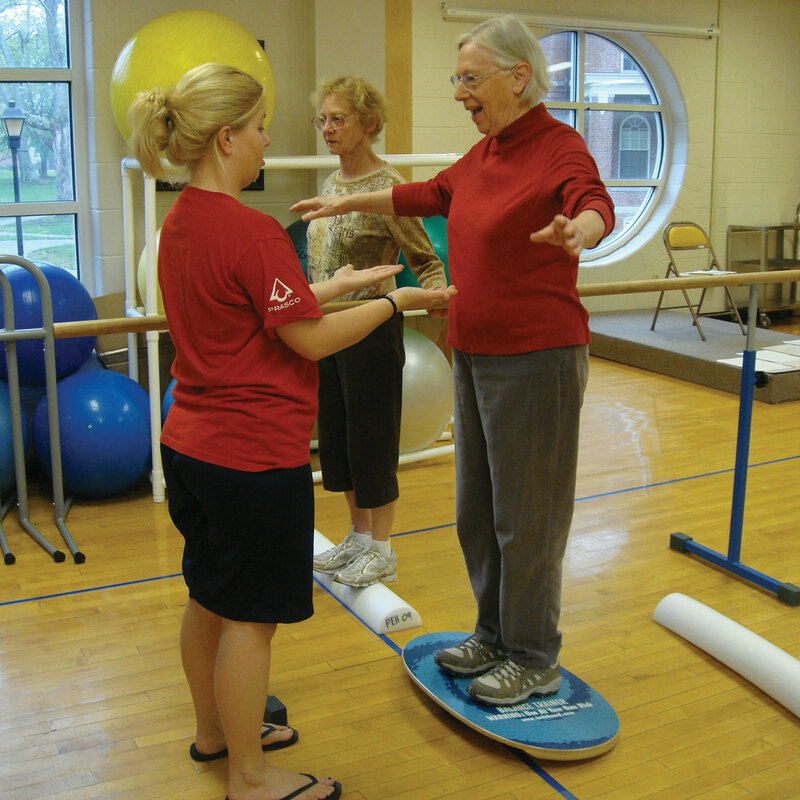 Teach the proper methods of client assessment as it pertains to balance, proprioception, core stability and posture using Indo Board Balance Trainers. 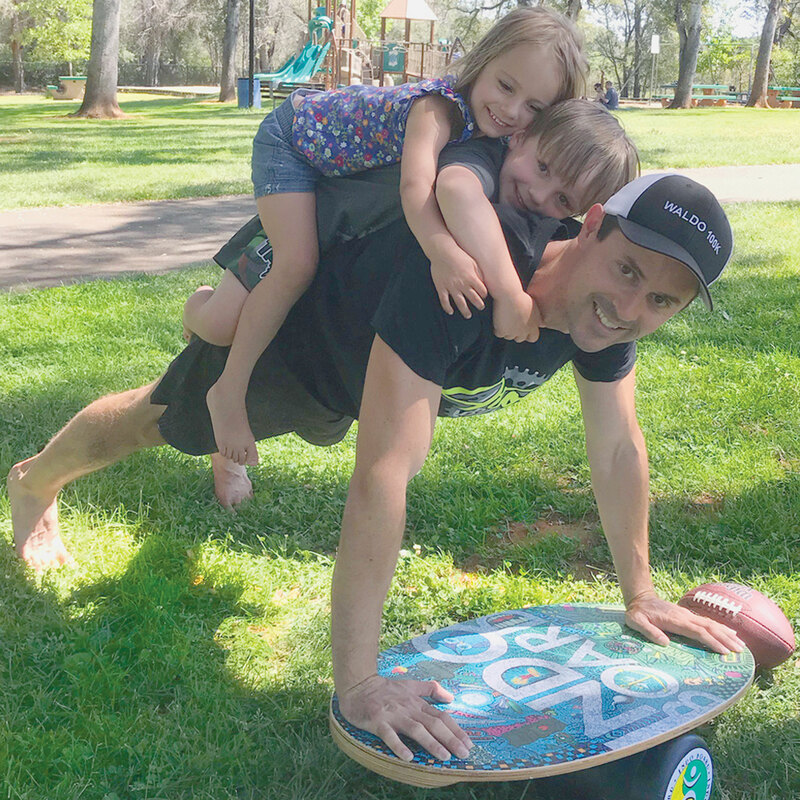 Introduce Indo Board products and explain differences and variety of uses of each product as well as the differences between Indo Board products and other popular balance training products on the market. Demonstrate the safest and most effective methods of using Indo Board products. Introduce instability resistance training and demonstrate how these integrated exercises benefit clients. Discuss and demonstrate scalability and progression of Indo Board exercises using each Indo Board product. Introduce a fun, innovative, safe and effective way for personal trainers to improve the quality of life of all clients through balance training. Lots of moans, groans, grunts, and even a few roars as Indo Board President, Hunter Joslin keeps good form under the expert advice of Certified Athletic Trainer, Vinny Comiskey. This is Chapter 23. Hunter is a surfer, skater, snowboarder, wakeboarder, Indo Board Master and all around extreme athlete who had too many skateboard falls during the 1970′s Dogtown and Z-Boys era. The skateboard falls left him with osteoarthritis of his right hip. Follow Hunter as he video blogs his way beginning with pre-op jitters and back to competitive form. Certified Athletic Trainer (ATC),20 yrs, Certified Strength and Conditioning Specialist (CSCS) and Corrective Exercise Specialist (CES). He worked for the US Olympic Committee for 18 year, 15 yrs. as the Head Athletic Trainer at the US Olympic Training Center in Chula Vista. He had the opportunity to be a sports medicine staff member on 4 Olympic Teams, 1998, 2000, 2004 and 2008. Worked for USA Field Hockey as National Team Athletic Trainer and USA Softball in the same capacity.Look for Dr. Everline in Chapters 20, 21, 22, and 24. About Dr. Clay Everline: Look for Dr. Clay Everline in Chapters 20, 21, 22, and chapter 24.